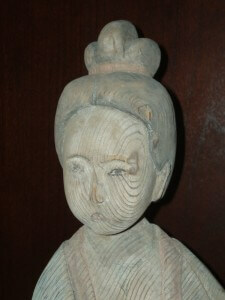 Carved and painted figure of a female court attendant, Han to Tang dynasty. 1. Are Chinese antiques a good investment? Yes, I feel that properly selected authentic, good quality, and fairly priced Chinese Antiques will continue to appreciate in value over the long term as witnessed by recent major auction houses. For example, a Tang Dynasty stone Bodhisattva figure sold for a new world Chinese antique record price of over one million U.S.dollars with buyers premium and a fine Han wooden horse reached nearly one half million dollars in the past few years. Desirable Yuan-Qing dynasty porcelain and jade rarities regularly exceed new auction record levels as interest intensifies from wealthy China mainland collectors. 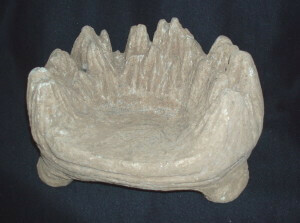 Chinese antiques are a welcoming and pleasurable tactile investment – “comfort food” to many of us. Don’t underestimate their sublime appeal. These are good things to remember and consider in this day and age of high technology and relatively hollow and intangible financial investing. 2. What are the advantages of investing in Chinese antiques? First, selected Chinese antiques “tangible art”, unlike intangible financial instruments such as stocks, bonds, certificates of deposit or a savings book, offer most investors genuine visual pleasure and personal pride in ownership. You can literally own wonderful works of antique art that happen to be fine investments…and enjoy the beauty and tranquility of your investment in the privacy of your own home or office every day! Second Chinese antiques have an impressive international marketplace. They are true global hard assets as witnessed by major Asian art auctions of Chinese art such as those conducted by Sotheby’s and Christies auctions in New York, London, Hong Kong, and other major metropolitan centers. China mainland auction houses are flourishing. In addition, there are at least two or three major Asian art publications that feature Chinese art and as many international Asian art trade shows. In fact full-blown, widely publicized Asian “art weeks” are annually heralded in New York and London. Third, they are a private and portable investment. Unlike real estate, you can take them anywhere you travel including and during times of political uncertainty or emergency. They can be willed to or given as gifts to children, relatives, friends, or institutions. And unlike more visible, public kinds of investing they are private and confidential investments. Fourth, gifts of art to your favorite institution(s) is an important way for you to express your caring, expand collections and simultaneously receive a tax deductible benefit when properly and professionally appraised adhering to IRS guidelines. A professional “arms length” appraisal report containing proper documentation, bonafide market research, and valuation will help assure you that you as a donor, you receive full credit for your gift from the IRS. We can help you with this. Fifth, and perhaps most importantly, investing in Chinese antiques today has never been more advantageous. Because of mainland economic and land reforms, rapid market formation from technological innovation, and a more aggressive Chinese building and road development policy, an extraordinary buying situation exists. This amazing opportunity is caused by what I call a “supply bubble”. These conditions make certain select Chinese antiques particularly attractive acquisitions at current price levels. Fine quality Chinese antiques are available in greater number and many are at lower price levels today than almost at anytime in the past. But this temporary window of opportunity may not last much longer as fine works of art continue to rapidly disappear from the market. “There is no other country in the world where archeological discoveries are taking place so fast and on such a scale as in China…… discoveries which are continually expanding our knowledge of the past and reversing previously accepted ideas. Ann Paludan, “Chronicle of the Chinese Emperors: The Reign-by-Reign of the Rulers of Imperial China, 1998”. 3. What are the disadvantages? Of course, like any other kind of investment, there are disadvantages too. Investing and owning Chinese antiques may not be for everyone in spite of many positive considerations. They are not interest bearing investments. And like many kinds of tangible assets, are not as liquid as say certificates of deposit or stocks or bonds so you have to bear that in mind. Also, like buying a home, classic automobile, or any fine artwork, you have to be selective: buy authentic works of good quality at a fair price, and work with a knowledgeable person who has the expertise and knowledge that is critical to your success and will help you feel comfortable with your choice(s). Investing in Chinese antiques is definitely oriented to the long term. I wouldn’t recommend investing in Chinese antiques without a minimum objective of holding your antiques for at least five to ten years. In addition, the art market like any international financial or tangible marketplace is cyclical in nature. There are times when it is best to buy or to sell. And finally, I wouldn’t recommend placing more than 10%-20% of your investment dollars in Chinese antiques, unless you’re an absolute expert. 4. Is investing in Chinese antiques a recent fad? Absolutely not. Major Chinese antique and art collections have been documented dating to centuries ago and since the nineteenth century in particular, fortunes have been invested and made from investing in Chinese art. Many of today’s major museum Chinese art collections and traveling exhibitions inspire new collectors and investors. Several fine collections were once privately accumulated by reknown international collectors such as Dr. Arthur M. Sackler whose archaic bronze collection is now a part of Harvard University’s Fogg Art Museum, and Mr. Avery Brundage’s fine bronze vessels collection now installed at the Asian Art Museum in San Francisco. 5. How large is the market for Chinese antiques? There’s no telling for sure how many people collect or invest in Chinese antiques today, but the number is large and is getting larger. There are at least tens of thousands that attend major Asian art shows, participate in major auctions, or subscribe to major Asian art publications. With the advent of the internet for faster communications and marketplace formation, a more aggressive Chinese building and roadway expansion policy, and escalating interest by collectors both inside and outside of China, the marketplace for Chinese antiques, once only accessible to the wealthy, is now accessed globally by thousands of new collectors and investors and is growing by leaps and bounds. Beyond the sheer size of the Chinese antique market, of note is the way the market has started to diversify. 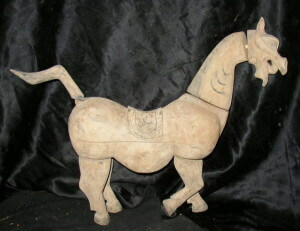 As political and economic uncertainty abounds, and traditional investments such as pensions funds, the stock market and real estate values gyrate up and down with the times, more and more individuals turn to hard assets- including fine Chinese antiques- as an enjoyable and sensible alternative and prudent diversification. 6. What determines value and profit potential for Chinese antiques? Primarily it’s artistic value that is the measure of its worth to collectors, investors, dealers, and museums. And artistic value depends on an antique’s popularity, rarity, and condition. Not surprisingly, American antiques are most popularly collected in the United States. Chinese antiques, besides being collected in the United States enjoy a world class international following and burgeoning demand back at home. However the market for Chinese antiques is especially growing by leaps and bounds in China and Southeast Asia as the standard of living and wealth accumulation continues to rapidly increase. So it will not surprise me when I find that many of the fine Chinese works of art that pass through my hands today eventually are repatriated back to their country of origin in the years ahead. Today’s popular works of art in America and abroad include China’s earliest and gorgeous jades, carved and painted wooden effigy sculptures, scholar items like inkstones and scholar rocks, Tang Dynasty artifacts, bronzes, and unusual pottery. An emerging category that I think will also gain in popularity in the future include fine examples of stone sculptures from all dynasties such as Buddhas and Bodhisattvas as well as stone furniture from Ming and Qing dynasties such as tables, stools, planters, and animal representations like foo dogs which I find particularly appealing and under valued in today’s marketplace. Profit potential is also affected by rarity and condition. Some of China’s most important antiquities have yet to be revealed in publications and I feel that over the next few years many wonderful artifacts will be exposed to the public. Rarity will then be determined more clearly not only by what has been found and what will be found, but more importantly about what will be published. So this fact bodes well for today’s investor. Right now is an ideal time to begin accumulating a portfolio and collection of selected antique treasures while supply is available and prices are reasonable. World’s first million dollar Chinese carving! 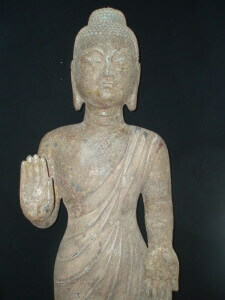 Authentic, good quality Chinese antiques such as this Buddhist carving continue to appreciate in value as witnessed by a recent Christies’ auction when a Tang Dynasty stone Bodhisattva figure (pictured above) sold for a new world record to a private collector for over one million U.S. dollars with buyers premium. 7. What about condition or quality? Here’s my advice: I have been a collector for almost my entire existence! I collected butterflies when I was eight years of age, rare coins when I was fifteen, American antiques when I was thirty years old, and Asian and Tribal art when I was forty years of age. I learned a long time ago “to buy authentic pieces of the very best quality that I could afford”. You know something, that advice …about buying the very best quality even when I felt I was paying too much rarely disappointed me when it became time to sell. 8. Should “price” influence my choice of a fine antique? Price is a reflection of rarity, but it is not a necessary criterion of rarity. A fine Chinese antique need not be terribly expensive. Many large urban art dealers, galleries, and auction houses advocate and promote the purchase of the most expensive, highest priced antiques. Granted, they usually offer high quality works of art but remember that they have high overhead expenses and are incentivized to earn commissions (profits) on high volume sales so they cannot afford to sell as many lower priced works of art- even if they are good or better value for investors. Sotheby’s auction house for example, seldom auctions items that have a value of less than $5000 per item because of their enormous overhead. So you should consider acquiring fine works of art in a variety of price ranges. Remember that the market is also served by collectors and investors of more modest means. They simply can’t afford to spend tens or hundreds of thousands of dollars on one antique but are still an important market force for more modestly priced antiques. 9. You seem to be saying that choosing the right art source and adviser is as important as selecting the right work of art. Am I right? The surge of interest in fine Chinese antiques in recent years has caused a lot of new art dealers to arrive on the scene both on the Internet and in new brick and mortar establishments. Unless you shop carefully, an innocent foray into the fine art market could wind up costing you plenty. I highly recommend that an investor carefully select an experienced firm that possesses outstanding credentials: reliable service, professional advice, fair prices and guaranteed authenticity. Usually the firm’s key principal should be experienced in international business and has successfully dealt in Asian art. He or she should have a strong knowledge base with many years of successful experience in buying and selling fine Chinese works of art. A firm or individual with a passion for collecting would also be a plus! I think that what my firm offers is second to none. Lifetime Authenticity Guarantee – we certify that every work of art you purchase from us is authentic and accurately described to the best of our knowledge. We routinely network with some of China’s leading scholars and experts for additional in depth advice. We issue bona-fide certificates of authenticity. Quality Guarantee – we guarantee the quality of all works of art we sell. Finally, look for a source who will handle your transactions confidentially and who will keep you abreast of market changes and opportunities. We hold all our transactions in the strictest confidence. We will be pleased to keep you informed about special acquisition opportunities as soon as they become available. 10. Is now a good time to buy fine Chinese antiques? Absolutely. But realistically the best buying opportunities may not last much longer. Current market conditions offer shrewd investors and collectors some of the best Chinese antique buying opportunities in recent decades. Many factors collectively contribute to this unique opportunity: economic and land reforms, rapid market development from technological innovation coupled with a more aggressive building and road expansion policy has resulted in what I call a “supply bubble”- creating a temporary and extraordinary buying window to occur. Fortunately my firm is well equipped and positioned to take advantage of this window. We network domestically with collectors and dealers and travel to Hong Kong and the orient seeking out the best finds. Because we buy direct from many kinds of sources and usually without middlemen and because our overhead in Vermont is relatively low in comparison with high overhead, large urban galleries and auction houses, our prices are very reasonable. In fact many of our customers are dealers and galleries that often mark up our antiques at much higher prices! 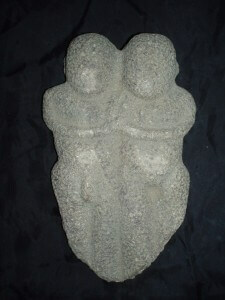 Right now there are wonderful ancient treasures awaiting acquisition by knowledgeable, savvy investors and collectors. But I should also forewarn you. Based upon my analysis of the current political and economic situation and my experiences in doing business in the orient for over twenty-five years and collecting art for a lot longer, this temporary window of opportunity is likely to be short lived. 11. Is it legal to own Chinese antiques? In a nut shell, yes it is. However, the Chinese and United States governments have recently signed an agreement prohibiting importation of any Chinese antiques prior to 907 AD. into America. While this precludes importation of continuing works of art found in China afte the importation ban date, there already remains in our country, and outside of China prior to January 16, 2009 a generous supply of wonderful works of art from which to choose from. Additionally, most art and artifacts post 907 AD still represent exceptional opportunities. Beautiful jewelry, sculpture, pottery and other works of art from the Liao, Song, Yuan, Ming, and Qing dynasties remain attractive acquisitions. Prices for these will undoubtedly escalate and those collectors and investors who have the foresight to assemble collections of these fine antiques now will likely see some very nice returns in the years ahead. 12. What fine Chinese antiques do you currently recommend? 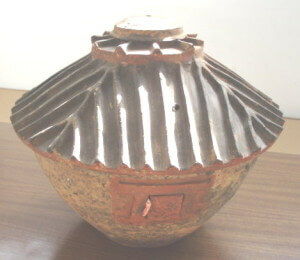 Jades such as bi discs and congs – These are still among China’s earliest and most important artifacts! They are absolutely gorgeous to touch and feel, make wonderful displays in any home interior, are spiritually infectious, and are still reasonably priced. The recent publication of a new seminal reference book : “Jade Age” jades in American museums, will certainly propel American interest. It will only be a matter of time before they are more actively collected and sought after on the Chinese mainland….as values escalate. Fine examples of Liao works of art including gilt objects & pottery. Song pottery, and Ming wood and stone carvings including Buddhas and Bodhisattvas. Chinese stone paintings “Shih hua” particularly carefully selected fine quality contemporary stone paintings. While a relatively new field, stone paintings are absolutely gorgeous, enjoy growing internal and external popularity, and are at least for the time being, reasonably priced. Carved and painted “wood” sculptures, figures and animals from Han to Song dynasties -this category is largely unpublished and is amazingly rare. With exception of Northwest Gansu Province, few examples survived the generally damp tomb environment inherent in most of China, so they are infrequently found. Over the past decade, I’ve been fortunate to access private collections containing important examples of beautifully executed wooden figures, horses, and animal effigies. Scholar works of art. This includes ink stones, brush washers, ink cakes, carved stone landscape plaques, and scholar rocks which all seem to enjoy growing popularity. 13. When is the best time to sell my antiques and how do I get the best prices when the time comes? As a general rule you will achieve optimum gains if you sell your artwork after a minimum five to ten year holding period. If you can afford to hold your art even longer than that before selling, so much the better. Under normal conditions you’re unlikely to profit if you turn around and sell after only a year or two. I wouldn’t advise you to invest without understanding this principle. When you decide to sell you have several marketing avenues: auction houses, other private collectors or investors, art dealers, or direct via the Internet. Among your potential buyers is my firm that has ongoing inventory needs from our cadre of private customers. 14. Mr. Schneible, what’s in store for Chinese antique investing down the road? I think the next few years will be among the most exciting in Chinese art history! I feel you will see some wonderful Chinese antiques become available and that may be published for the first time ……some artifacts even I cannot imagine once existed or could ever be available for private acquisition. I am confident that investors, who carefully acquire a fine portfolio of selected Chinese antiques today, will reap substantial rewards in the decades ahead. Rewards, I might add, that will far exceed mere financial gains but include incredible pleasure derived from owning, displaying, and touching some of these great ancient treasures… and sharing them with friends, family, and acquaintances. 15. I’ve read your interview and I am interested in investing in Chinese antiques. What do I do next? Please contact the president of Arts & Crafts Gallery LLC and Schneible Fine Art, Mr. Douglas Schneible to arrange for a mutually convenient time to discuss your interests. You may reach him by telephoning the company at 802-279-7601 (Eastern Standard Time) or emailing Mr. Schneible at: acgdoug@aol.com, or visit the contact us page. Copyright ACG 2010 all rights reserved.